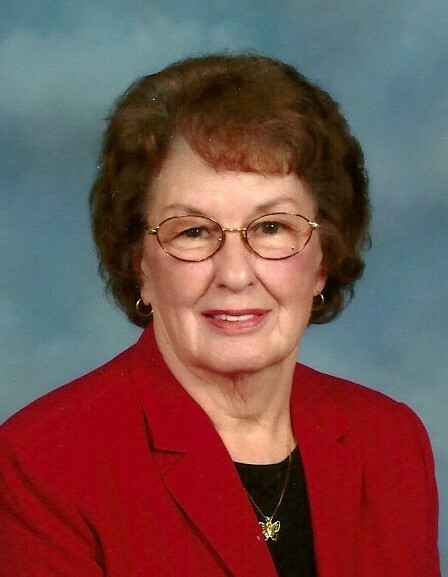 June Massey Trapp, age 88 of Ripley, Ohio, died Wednesday, April 3, 2019 at the Ohio Valley Manor Nursing and Rehabilitation Center near Ripley. She worked many jobs in Ripley, over the years, including: The Keep Fit, U.S. Shoe and the Ripley Locker Plant. She was also a member of the Ripley Church of Christ. Mrs. Trapp was born February 23, 1931 in Orgas, West Virginia the daughter of the late Maynard and Mabel (Hendricks) Cadle. She was also preceded in death by a daughter, who died at childbirth – Pamela Sue Massey; her husband of twenty-four years – John F. Trapp; her ex-husband of twenty-three years – Harvey R. Massey; two brothers – Leon Cadle and Robert Cadle. Mrs. Trapp is survived by four daughters – Debbie Griffith (Jim) of Ripley, Ohio, Catherine Pfeffer (Kay Polley) of Ripley, Ohio, Vicki Kinnamon (Mike) of Chillicothe, Ohio and Brenda Ray of Ripley, Ohio; eight loving grandchildren – Melissa Cox Jones, Jason Pfeffer, Cristian Pfeffer McClain, Ethan Pfeffer, Amanda Kinnamon Hamman, Brittany Ray Werner, Randell Ray and Brandon Kinnamon; twelve great grandchildren; one sister who is 91 years old - Geraldine Combs of Akron, Ohio. Funeral services will be held at 1:30 P.M. on Sunday, April 7, 2019 at Cahall Funeral Home in Ripley, Ohio. Visitation will be from 12:00 to 1:30 P.M. on Sunday. Interment and private graveside services will follow the funeral service in Maplewood Cemetery in Ripley, Ohio.